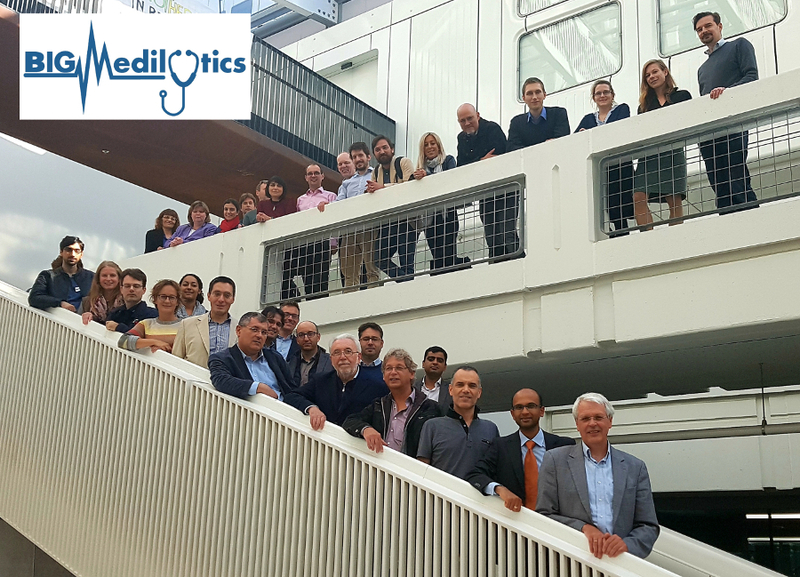 The city of Rotterdam (The Netherlands) hosted the second meeting of BigMedilytics project on the 25th and 26th September. This fruitful event, which gathered representatives of the 35 partners that make up the consortium, was focused on reviewing the progress and the achievements so far and underlining the next required steps. 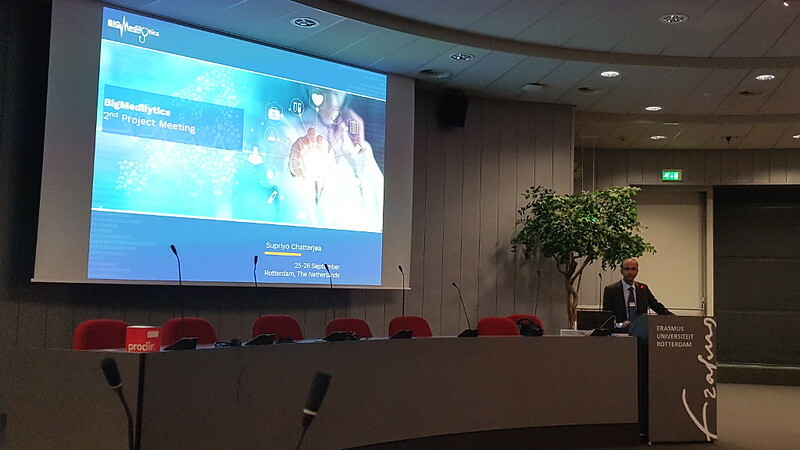 The project coordinator, Supriyo Chatterjea, from the consortium leader Philips, was in charge of the opening of the meeting in the Erasmus University. The first day offered speeches from the Data Protection Officer (DPO) of the project, Professor Dr Ricard Martínez, and the leaders of the different themes and work packages: Dr Roland Roller from DFKI, Professor Dr Josep Redón from Fundación INCLIVA, Dr Pieter Vos from Philips, Professor Dr Evert van Loenen from Philips and Professor Dr Erik van Raaij from Erasmus University. The sessions of the second day took place in the Erasmus Medical Centre and they were centred in discussing about the 12 pilots implemented by the project, with particular emphasis on technology, methodology and security.